The variation in the distribution and in the seasonal extension of the ice cap can jeopardize the survival of animal species that survive in some of the more extreme conditions of the world, such as the narwhals, seals, walruses and polar bears. 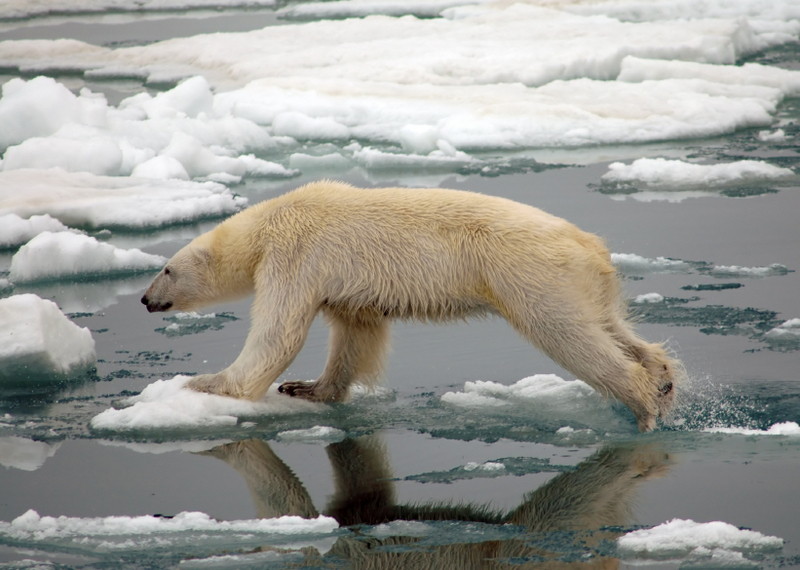 An early arrival of spring leads to a contraction in the extension of the frozen surface – the hunting platform of the polar bear – thus shortening the seal hunting period, and therefore, the possibility for the bear to build up its fat reserves again. Studies carried out in the Hudson Bay show that for every week that the glaciers melt earlier, the polar bear shows a 10 kg decrease in weight, and as a consequence, this will lead to more precarious physical conditions. But the effects regard all levels of the food chain. The boundaries of the frozen areas are, in fact, among the most productive of the Earth, and their impacts will be noted on a global scale through, for example, changes in the feeding habits of migrating birds and ichthyic stocks.